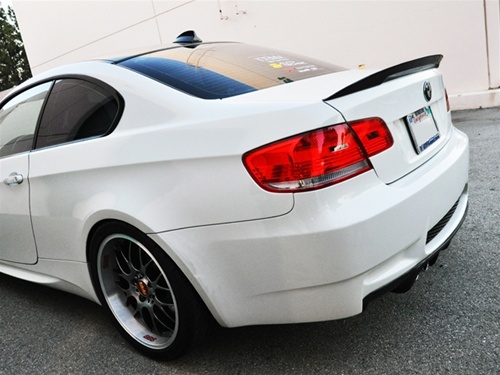 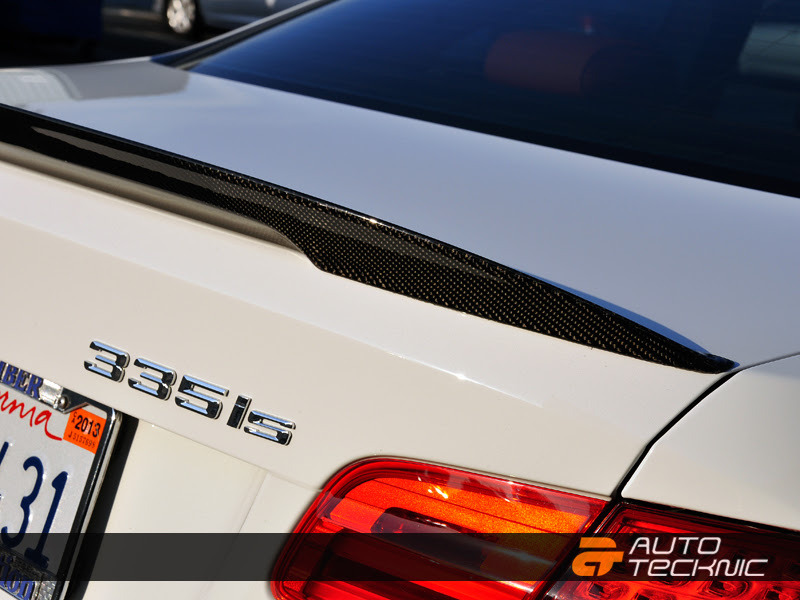 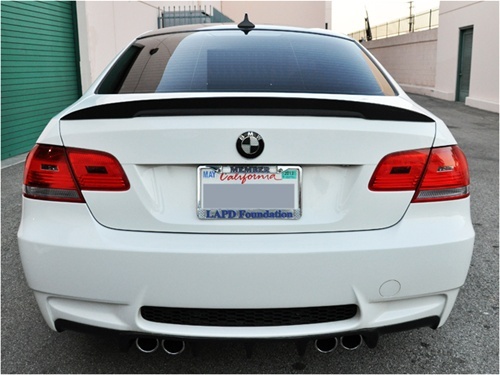 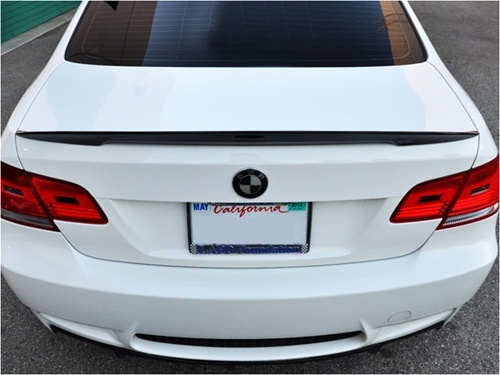 Enhance the aesthetics of your BMW's rear end with a Carbon Fiber Trunk Spoiler. 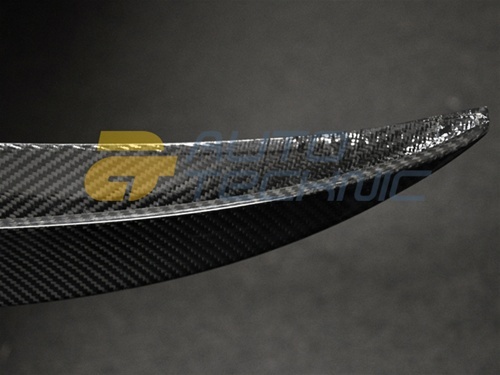 Manufactured in glossy carbon fiber finish. 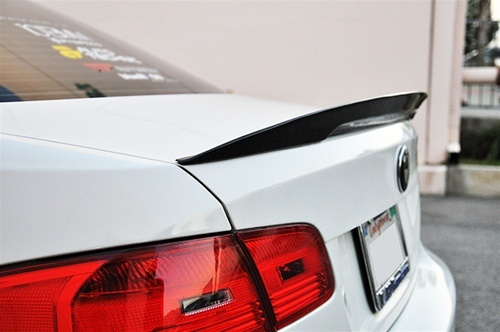 These Carbon Fiber Performance style trunk spoilers are easy to mount and take less than 20 minutes to install, and you don't have to drill into your trunklid to mount it! 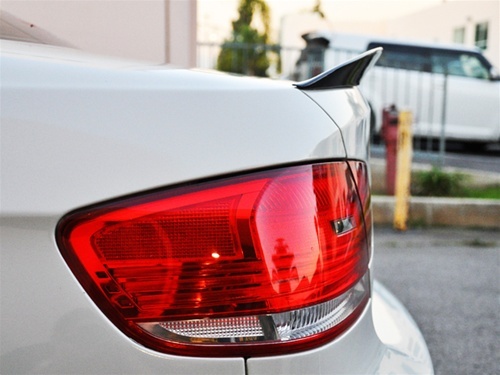 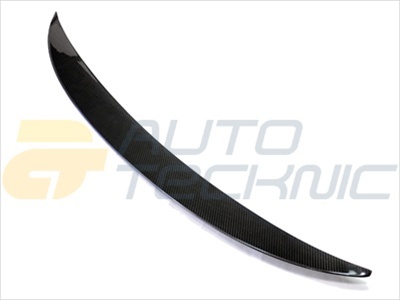 This is a Performance style trunk spoiler for the E92 3 series coupes including 328I, 335I and M3. 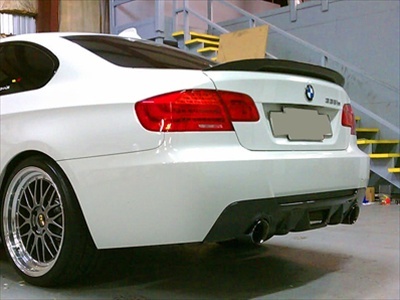 It will not fit the E90/ E93 3 series sedan/ convertible.